HELENSBURGH is the focal point of a search for missing verse from one of the greatest 20th-century poets. The world's leading authority on W.H.Auden (left) has launched a hunt for missing early poems by the writer, written when, as a young schoolmaster in the early 1930s, he taught at Larchfield Academy prep school, also known as Larchfield School. THE teacher at the so-called Helensburgh Ragged School from its origins in 1851 until its demise in the wake of the Education (Scotland) Act of 1872 was George Mair. Shortly afterwards, however, with the school now under State control and re-designated Grant Street Public School, George Mair continued as headmaster until his retirement in 1898. So he served as head of a Helensburgh school for 47 years — a remarkable achievement by any reckoning. WHEN it comes to the earliest school, or schools, in Helensburgh, there is a dearth of information in official documents, but a plausible picture does begin to emerge from snippets in a variety of sources. One useful work which does provide some clues is the book "A Nonogenarian's Reminiscences of Garelochside and Helensburgh", by Donald MacLeod (1883). The author is not a nonagenarian — that designation applies to his uncle, Gabriel MacLeod. 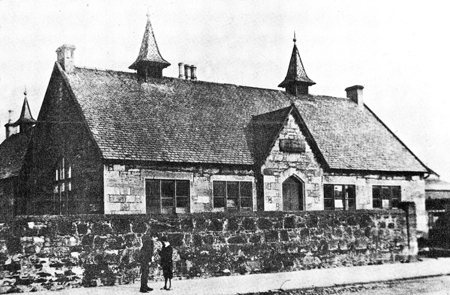 ONE of the town’s early schools rejoiced in the somewhat unflattering name of Helensburgh Ragged School. It was set up in 1851 to meet the needs of parents who could not, or would not, pay the fees of the other schools of the time . . . and it existed and prospered until the building of Clyde Street School early in the 20th century.